Like any furnace or air conditioner, your radon reduction system needs occasional maintenance. If your radon mitigation system is more than 5 years old, Advanced Basement Systems can inspect your the system to make sure it's working. 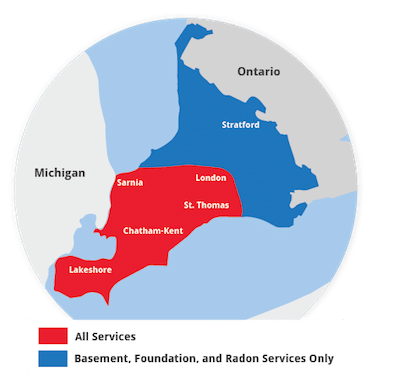 To request an inspection of your radon reduction system in London, Windsor, Chatham, Sarnia or nearby, give us a call or click below! Contact Advanced Basement Systems today for more information about radon testing and radon mitigation in Ontario. Advanced Basement Systems is a trusted member of the nationally recognized National Radon Defense network, and they have the training and experience to help lower the radon levels in local homes.